Our unique approach combines self-service web sites with the latest Social Media channels to create comprehensive and effective yet affordable Online Presences for Non-Profit Organisations and Associations. We deeply understand the tight finances and limited resources of not-for-profits - we have been managing their web sites since 1999! We create and tailor your online business by seamlessly merging responsive mobile websites, social networks and direct marketing tools to efficiently service your Members. Our holistic approach enables you to easily attract and engage new Members - no matter how they communicate on the Internet! ● Fully Automated System - No additional effort or costly 'Social Media Managers' necessary! ● We make your Web Site work for your Association! 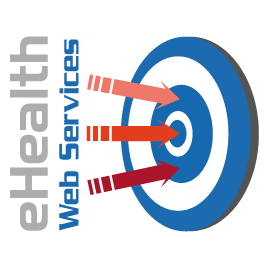 eHealth Web Services understands the internet presence and web communications needs of Small Businesses ("SMEs") and the e-Health industry well - we have been creating and managing successful Internet Presences for the healthcare industry for more than 10 years. We provide a complete internet presence service. eHWS focuses on functionality and utility of the internet presences that we create for our clients, as we believe that as eHealth organisations and practitioners we should "practice what we preach". Our web presences fully integrate the client's web site with Web 2.0 features such as Wikis, Blogs, RSS news-feeds, Web Communities, fully automated e-mail lists as well Social Media sites such as Facebook, Twitter, LinkedIn, YouTube, Vimeo, MySpace, Identi.ca, FriendFeed, StumbleUpon, Pinterest, Imgur, SlideShare, Tumblr, Paper.li, Klout, about.me, Scoop.it, DeviantArt, Delicious, etc. Our special focus is to fully automate the integration, because SMEs usually don't have the time or money to spend on elaborate internet marketing or IT setups. The internet presence we create for you is fully automated and integrated, creating a complete "business presence" on the internet promoting your products and services to new and existing customers. We usually can build on your current web site and add a lively and attractive mix of news, videos, pictures, tweets, updates, etc. to make the on-line part of your business just as dynamic as you are! Our customers tell us that the internet presences that we have created for them have expanded their existing "brick & mortar" business, bring them many new customers and "connect" them with their existing clients - without any additional effort as we have fully automated their web presences! Your customers are increasingly viewing your web site with their iPhone, iPad, Android, Kindle, etc. Mobile devices used to browse the internet overtook PCs in 2011. The problem for you is that each type of mobile device has a different screen size! This means that building a web site for a specific screen width is no longer acceptable as your information will not fit most devices and left/right scrolling will make your potential customers leave quickly! Your website must be engineered to adapt to any screen size on any device, it must use the 'responsive design' approach. This lets your content and information 'reflow' to fit any device and your site visitors get the best experience! Created and managing a comprehensive integrated Internet Presence: Web Site, Twitter, Facebook, LinkedIn, YouTube, Pinterest, e-Mail Lists, News Page, RSS News Feed, etc. Created and managing an integrated Internet Presence: Web Site, Twitter, Facebook, YouTube, Google+, LinkedIn, News Page, etc. Providing Internet Presence management, web site hosting and integration advice: Web Site, Twitter, Facebook, e-Mail Lists, etc. Created and managing a comprehensive integrated Internet Presence: Web Site, e-Mail Lists, News Feed, Twitter, Facebook, etc. Created and managing an integrated Internet Presence: Web Site, Twitter, News Page, etc. IHE Australia - Integrating the Healthcare Enterprise, Sydney, Australia. Created and managing a comprehensive integrated Internet Presence: Web Site, Wiki, e-Mail Lists, Twitter, News Feed, LinkedIn, etc. The Specialist Australian Domain Registrar - specialising in domain consolidation and brand protection. Web Site Integration and Comprehensive Internet Presence: Web Site, e-Mail Lists, Twitter, News Feed, Facebook, etc. Pulse+IT Magazine - Australasia's first and only eHealth and Health IT Magazine. Providing SEO and Social Media Integration Advice: Web Site, e-Mail Lists, Twitter, Facebook, LinkedIn, Google+, RSS News Feed 1, RSS News Feed 2, etc. HL7 Australia - the Australian representative of the HL7 International healthcare interoperability standards development organisation promotes and facilitates the development and use of HL7 and related standards to meet Australian needs. Created Web Site in 1999 and maintained a Comprehensive Internet Presence: Web Site, Twitter, RSS News Feed, Facebook, etc. Since Nov. 2015 domain registration management only. Strategic Advice, Social Media campaigns & operational support: Web Site, Twitter, News Feed, Facebook, etc. International HL7 Consulting Experts Consortium - a global group of HL7 and Health Information Technology experts. Created a Web Site and a Comprehensive Internet Presence: Web Site, Twitter, News Feed, etc. Shafarman Consulting Inc. - HL7 V3 Specialist Consulting, San Francisco, USA. Created a one-page contact site: Web Site, Blog, etc. Elizabeth Moss Consulting - a Specialist Consultancy for Data Dictionaries and Health Data Management, Canberra. Created a one-page contact site (with auto-updates via Twitter): Web Site, Twitter, News Feed, etc. EJSH Consulting - Prof. Evelyn Hovenga, Health Informatics Consulting, Rockhampton, Australia. Created a one-page contact site: Web Site, etc. Since Feb. 2016 domain registration management only. Rodina Sydney promotes the Bulgarian culture, traditions and language in Sydney and beyond, contributing to the diversity of the Australian multicultural society. Web Site Redesign and Comprehensive Internet Presence: Web Site, Twitter, Facebook, Pinterest, News Feed, etc. Wollombi Real Estate serving the historic Wollombi Valley, only 1 hour from Sydney and 30 minutes from the Hunter Valley Vineyards. Web Site Expansion and Comprehensive Internet Presence: Web Site, Twitter, Facebook, Pinterest, etc. Thought Leader advancing the Professions, Professionals and Professionalism - The Australian Council of Professions. Internet Presence Expansion and Domain Management: Web Site, Twitter, etc. AGV Sports Australia - Leathers, Helmets and Accessories for Riders. Internet Presence Expansion and Domain Management: Web Site, Twitter, Facebook, etc. We use HostGator's excellent web hosting, GoDaddy for global domain name registrations and Thrift Domains for Australian and NZ domain names.